What is it like to be an early childhood education provider in Detroit? We sat down with the directors of several Detroit child development centers to discuss the early childhood workforce, facilities, funding, and their hope for the sector going forward. 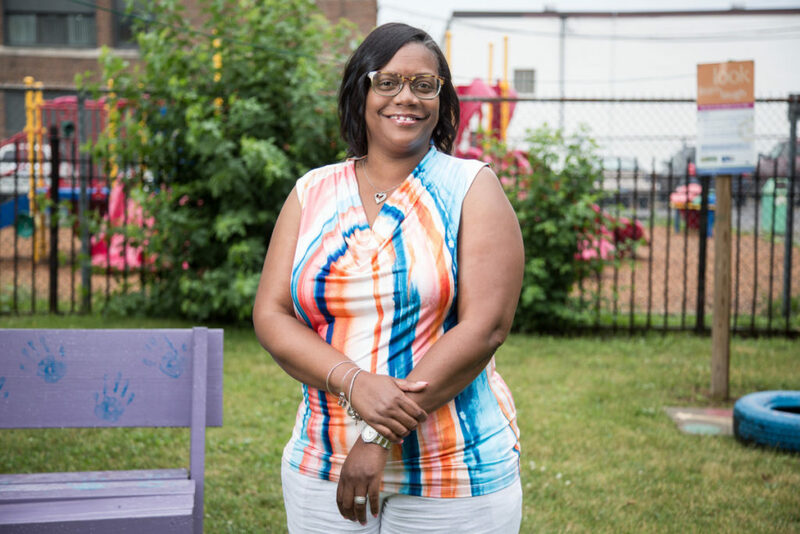 Rhonda Mallory-Burns is the Early Head Start/Head Start director with Development Centers, which runs both home-based and center-based programs for 310 children ages birth to five in northwest Detroit. 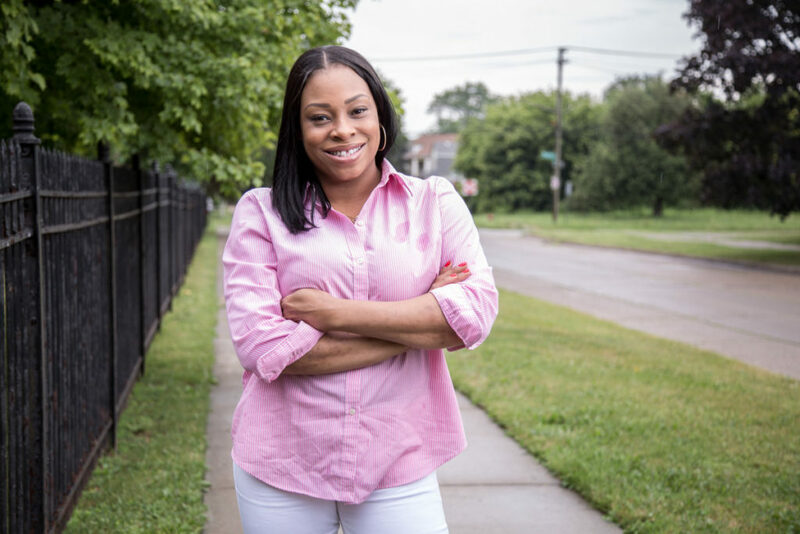 Monique Snyder is the owner/director of Brainiacs Clubhouse Child Development, which serves 48 children, ages birth to 12, on the far east side of Detroit. Her program is affiliated with the Great Start Readiness Program (GSRP), Michigan’s state-funded preschool program for low-income four-year-olds. 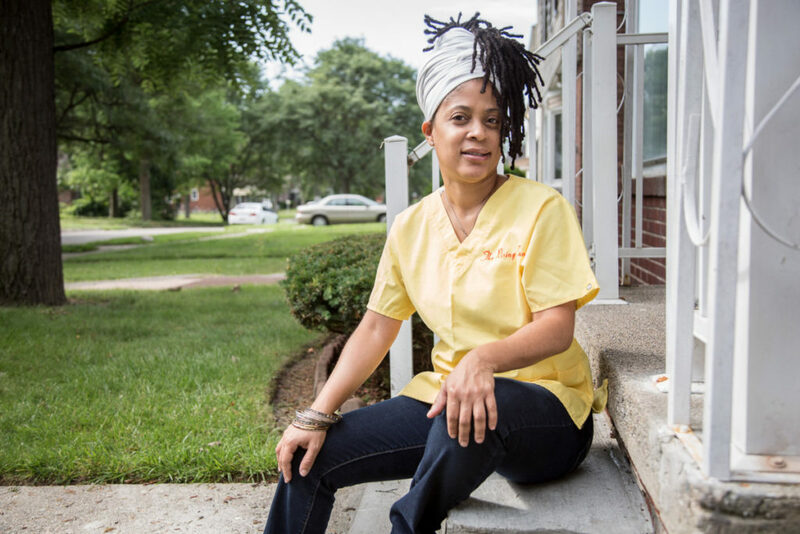 Zina Davis operates a licensed group child care and preschool education program in her home in Brightmoor. She has received a QRIS five-star rating for two consecutive years. Rhonda: We have a challenge with staff turnover, for many various reasons. It could be the salary. It could be the work environment. It could be numerous reasons. When you have turnover it impacts quality because you want the continuity, you want the consistency. We want the children to build those relationships with their teachers, so when you have that swinging door, that’s a challenge. Our agency is committed to providing best practices and high quality education to the children that we serve. Even when we went into this in 2014, we made sure that all of our teachers had a Bachelor’s Degree. All our assistant teachers have an Associate Degree. We do have some Masters level teachers in the classroom. We wanted to make sure that we put professional development as a high priority, so we have a partnership with High Scope because that’s a curriculum that we utilize. Even with Head Start, our performance standards set all these guidelines, but it’s like, “Well, how am I supposed to make this work with the budget that you just gave me?” That’s why we have to go out and try to get additional support like doing grants. Monique: We don’t receive the same funding Head Start centers receive, and then we’re held to the same standards. You want this child to be able to spell their name, identify different colors, shapes, speak in complete sentences, begin phonics before kindergarten? It’s the same work, but I’ve got to tell this teacher, “Oops, I’ve got to pay you about $20,000 less than they can.” So yes, it’s hard to retain them. Do you know what I have to do to get my teachers into training? One training for eight teachers is $5,500. Head Start has the budget. We don’t. We have to beg, plead, claw to get our professional development. We’re held to the same standards, but we have totally different opportunities. Zina: Just being able to afford quality teachers is a challenge. It’s different when you’re in a home, than in center-based. You can get the quality in GSRP paid programs because you’re able to pay them the wages for a quality teacher. They expect us to have quality as well in the homes, but we cannot afford to pay the wages that government programs do because we only have 12 children. Rhonda: The infrastructure for buildings in Detroit is awful. It’s hard to find a really good facility to operate in. Just recently we were able to obtain a lease in an old Detroit Public School, but we still had to put a lot of money in it just to get it operable. But we had struggled for the last couple years in a facility that was not conducive to a healthy and safe learning environment. The heat goes out and you’re calling those families, saying, “We can’t operate today…” Those were a lot of the challenges we had before. So I’m excited for the upcoming school year. As of right now, all of our sites are in good locations. Zina: It’s hard to get out and actually purchase a building or do a startup unless we have our own capital ourselves. It’s a little difficult, especially when you’re dealing with banks, or you’re dealing with different entities. They ask for a lot in order for you to get certain funding. Rhonda: Head Start is federally funded, so you are given a set a budget. In that budget there is no going over, no going under. It’s tight. Monique: It’s challenging to keep our budgets tight and on point without losing our business. One of the best things that happened to our organization was our partnership with GSRP, because we were able to pick up qualified teachers and pay them good rates so they could pay their bills and come to work and work efficiently. That helped us tremendously. But funding is still a challenge because as a community-based organization, we don’t have $17,000 per pupil. We have a set budget for the year, and then I have to stretch it and give the same opportunities and resources. There is no financial equal playing field. Period. We get ten dollars, and we have the same expectations as the school that gets a hundred dollars. But we make it happen. Monique: As a business owner in early childhood, I totally appreciate the amount of emphasis that is being placed on low-income areas within this sector right now. I’ve had the opportunity to sit down with at least three organizations that are hands-on trying to help build quality early childhood education centers. The resources that they’re giving us, 90% of it is just knowledge, but it’s huge. Rhonda: It still falls back on the providers to take the initiative to go and seek those new opportunities. I’ve been in early childhood for over 25 years. In the last three years, the number of initiatives has just been amazing. I have a partnership with Madonna University and have spoken with their field placement coordinator. I want myself and my education specialists to go out to promote early childhood education. I have a passion for it. I was a teacher for so many years in the classroom, so those challenges that my teachers may have, I understand. I feel that I’m in a position that I can support them, but I also want to advocate for them. They may not see the advocacy part, because I’m in a different role now, but I am fighting so hard on the other side. These initiatives today were not there when I originally started in early childhood. Now the hands-on support is just phenomenal. That’s what keeps me hopeful and optimistic. Because I see the changes. It was like early childhood was just on the backburner. I think over the years, nationally, we’ve finally figured it out. A light bulb finally went off with somebody. Zina: I’ve been doing this since 1996, and this is a different time now. It’s like we matter now. A lot of organizations are opening up their eyes and looking at us more as professionals. They’re seeing that early childhood is a time of great need, and there’s a great need for quality education for the children. A lot of organizations are willing to support quality all over the state, all over the country, so we’re putting a lot of money into it, a lot of policies into it. Early childhood is a big focus right now. All eyes are on us.